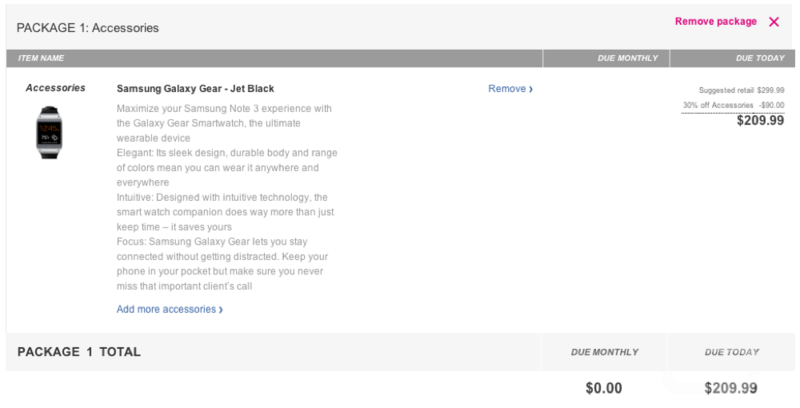 If you want to score the Galaxy Gear smartwatch for just $210, then you better hurry on over to the T-Mobile website and pick one up. Once the watch is added to your cart, simply apply coupon code “fallfun30” for $90 off of the $299.99 price tag. That’s a steal if we have ever seen one. We have one confirmation of the process working, but who knows if T-Mobile will bring a quick halt to this deal. Go get it while you can!